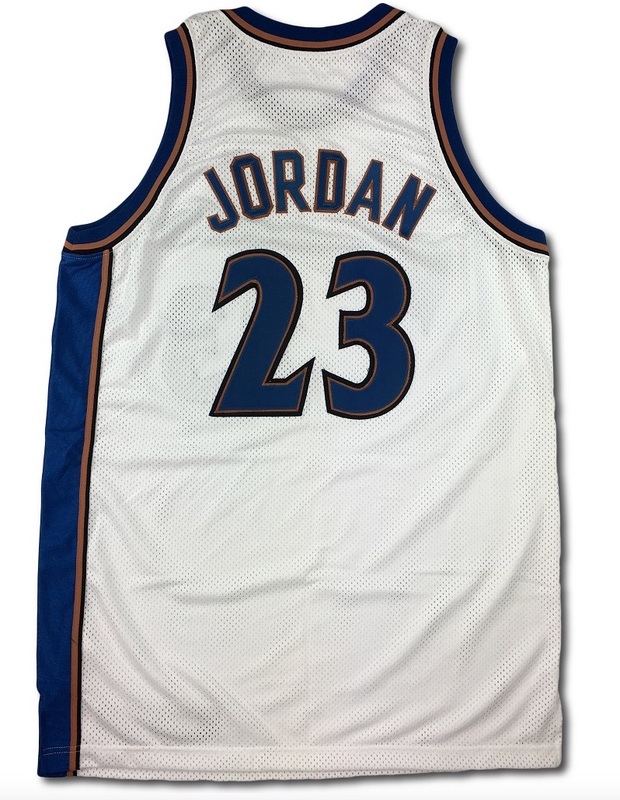 Michael Jordan was inducted into the Naismith Memorial Basketball Hall of Fame in 2009 for his individual career and again in 2010 for his involvement in the 1992 United States Men’s Olympic Basketball “Dream Team”. The six-time champion and Finals MVP was named to the NBA’s 50th Anniversary All-Time Team is the all-time leading scorer in NBA playoff history. On the front left tail is a Nike size “50” manufacturer’s tag with a flag tag attached below that reads, “LENGTH + 4”. On the left inseam is a materials tag with washing instructions and a Nike “2001-02” year tag. 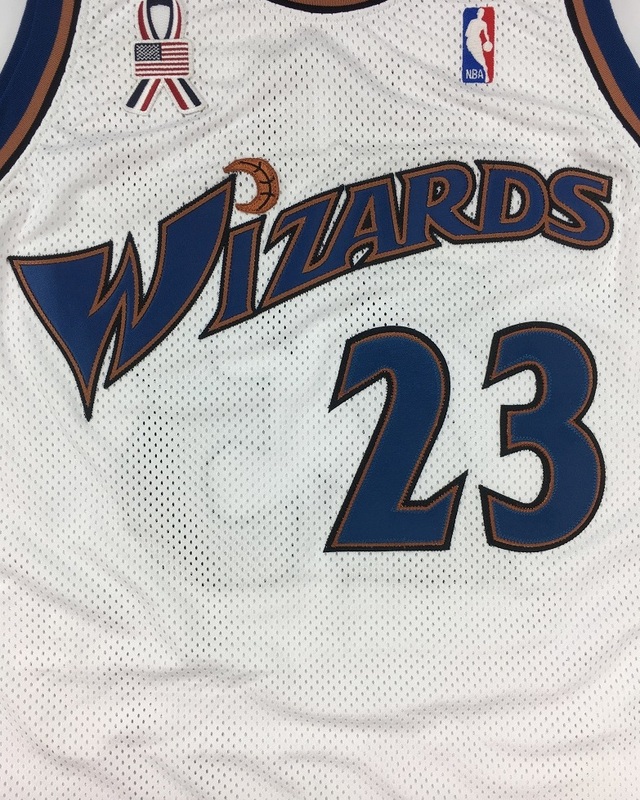 On the left chest is the official “NBA” logo embroidered and on the right chest is a 9/11 memorial ribbon and American flag embroidered in red, white and blue stitching. 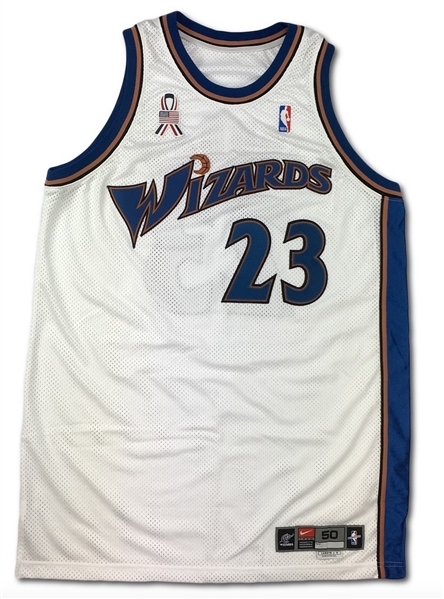 Across the chest reads, “WIZARDS” and the player number “23” appears on both the front and on the back. These are done in blue on bronze on black triple tackle twill. 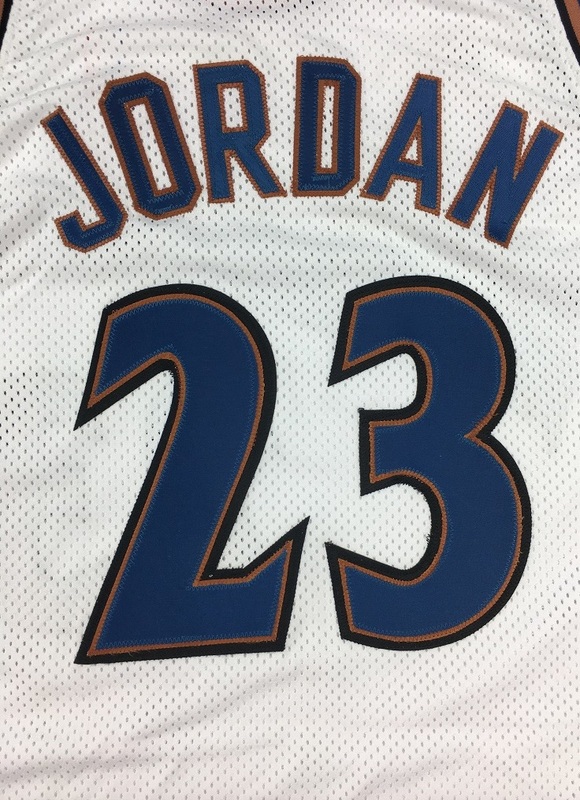 Across the back reads the player name “JORDAN” in blue on bronze tackle twill sewn directly onto the white mesh jersey. 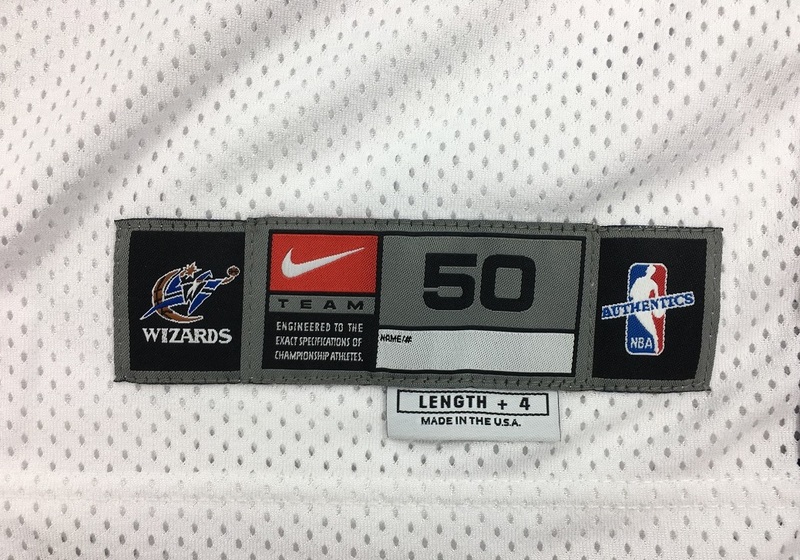 This jersey is properly tagged, was presented as game used and in our opinion shows appropriate single game use.